Presenting homemade pillows to local veterans. Able2 manages and owns nine homes in Elmira and Horseheads, NY providing a safe, secure, home-like setting to encourage our individuals with developmental disabilities to live independently at every stage of life. Our residences are supervised by staff trained in all aspects of care and a registered nurse oversees health care needs. Health care oversight by registered nursing staff for an average caseload of 10-13 persons, meaning more individualized care is provided for each person. Dignity and respect are paramount in care. Facility supervision by working staff 24 hours per day, 7 days per week, ensuring each person is monitored and cared for in a safe and secure environment. Staff certified and trained in all aspects of care for the disabled. ADA compliant facilities, designed to assist each person while maintaining a warm and caring home environment. •	Located in a rural setting, but a short drive to many shopping centers, restaurants, and entertainment venues. •	Newly renovated, three-bedroom ranch style home with open living spaces. •	Private bedrooms, 1 ½ baths, and two fire places. •	Sliding glass doors provide access to the large covered deck where one can enjoy the surrounding nature. •	Located in a quiet, residential neighborhood in Horseheads close to area shopping, dining, and entertainment options. •	This is our largest residential facility, serving 22 individuals, consisting of two separate and distinct living units with 16 single bedrooms and 3 shared bedrooms. •	With ceiling track lifts throughout the unit, this is an ideal location for those requiring full wheelchair accessibility. •	Each unit has a common living room, recently renovated kitchen and dining room areas. •	Both units offer fully accessible bath and shower options and many rooms offer private or semi-private bathrooms. •	Property perks include access to established nature trail, pavilion, greenhouse, and garden area. •	Features 8 individual bedrooms and 2 full baths. •	The grounds feature well maintained sidewalks surrounding most of the property along with wheelchair accessible deck, perfect home for those who like to relax and play. •	Newly built, 2700 square foot home in a more rural setting in Horseheads but a short drive to many shopping centers, restaurants, and entertainment venues. An ideal location for those who prefer the quiet of nature. •	Features 5 private bedrooms and 2 full baths. •	Built with full accessibility in mind, inside and out and offers a large deck and lookout area to watch nature unfold in the woods that line the home. •	Although distanced from the hustle and bustle of neighborhood living, this home is still centrally located with shopping, entertainment and dining options just a short drive away. •	One story ranch home, located in a residential area of Horseheads, centrally located to area amenities without losing the peace of a quiet neighborhood. •	Built with full accessibility in mind, this house features 12 private bedrooms, large deck, and screened in porch area—great for visits with family and friends. •	Several shops and parks are within walking distance to this home. •	One story ranch, located in quiet residential neighborhood on 2 acres, enough space to play, relax and enjoy nature. •	Built with full accessibility in mind, this house features 4 single bedrooms and 4 shared bedrooms with fully accessible bath and shower options. •	Grounds are well maintained with sidewalks around the entire house providing everyone of a clear view of the beautiful surroundings It’s not unusual to see deer and rabbits in the backyard. 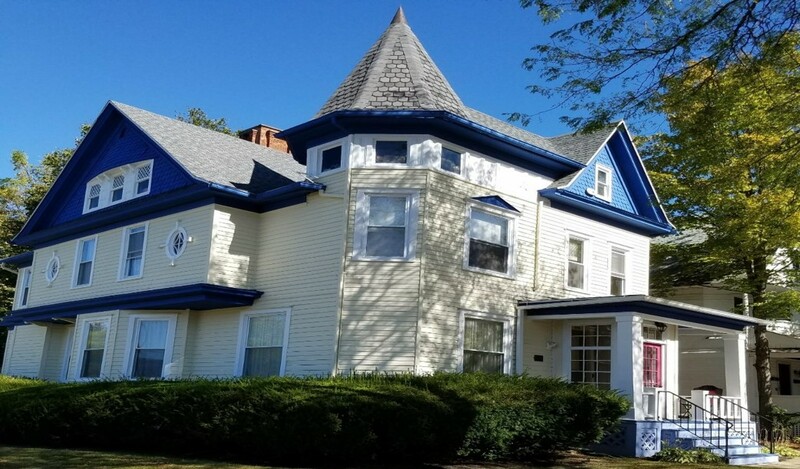 •	Two story home is on large lot, closer to Downtown Elmira. Close to public transportation options, but also within a walking/biking distance to area restaurants, shopping, and entertainment options. •	Features four private bedrooms and two baths with separate kitchen, dining and living areas along with a sunroom. •	Newly built, 2600 square foot ranch in a more rural setting of Pine City. This home has the feel of a private retreat while still being close to area amenities. •	Built with full accessibility in mind, this home features five private bedrooms and two and a half baths. •	Wheelchair accessible deck sits off the kitchen where beautiful weather and nature can be appreciated. •	Two story home in West Elmira with a country setting and large wooded yard. Ideal location for those who prefer the quiet of nature but only a short walk to area shopping and dining options. •	Features separate kitchen, dining and living areas and four private, second floor bedrooms and one private first floor bedroom, two full baths. •	This supportive living apartment offers two separate and distinct residential programs. The lower unit serves as a one-person supervised IRA, creating a truly individualized environment. The upper unit serves as a supportive IRA, allowing for an independent living environment. •	Built in 1900, this Victorian-style home is listed on the national registry of historic houses. It’s location near downtown Elmira, is walking distance to stores, banks, pharmacy, and public transportation. •	The Zephyr house has also had the opportunity to utilize new technology such as bio-metric locks, video-intercom system and an induction stove.